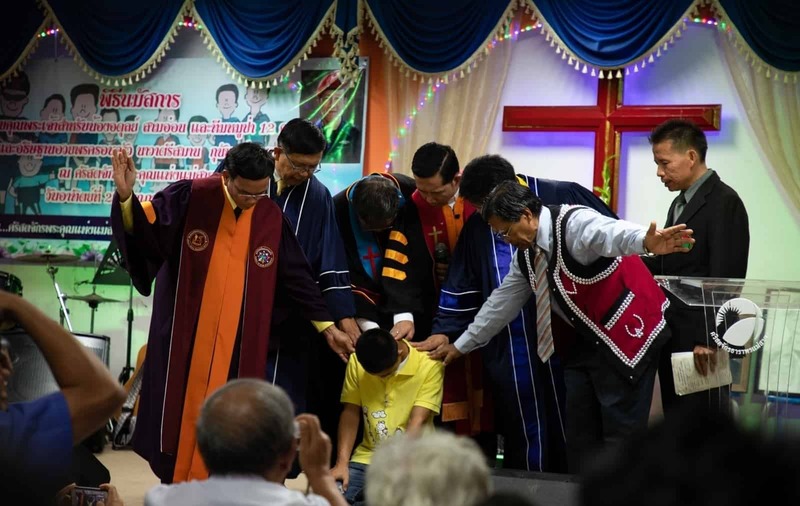 Christians from all around the Chaing Rai District of northern Thailand gathered on Sunday, July 22, to praise God for the dramatic rescue of 12 boys and their soccer coach after they were trapped for two weeks in a flooded cave system. One of the boys who was rescued is Adun, who is sponsored through Compassion Thailand. 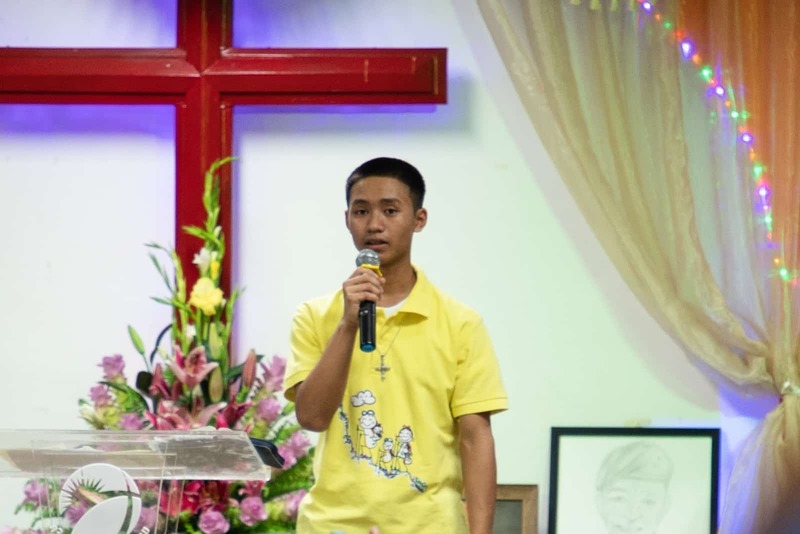 The majority of the soccer team participated in a Buddhist ceremony* on July 24, but Adun chose to worship God at a special thanksgiving service held at the Compassion partner church he attends. 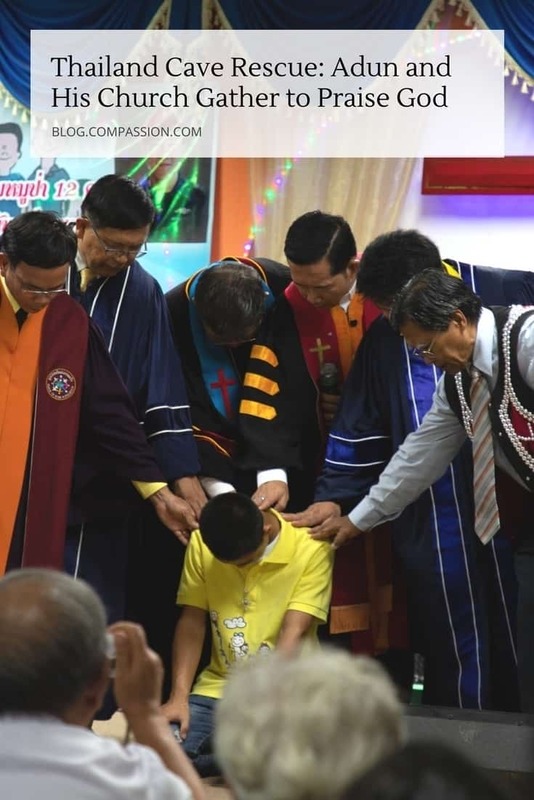 Pastors from churches in the Chaing Rai province prayed for Adun at a service on Sunday, July 22. Although nearly 95 percent of Thailand’s population is Buddhist, a small minority of Christians in the country — about 1 percent of the population — lives peacefully with their Buddhist neighbors. 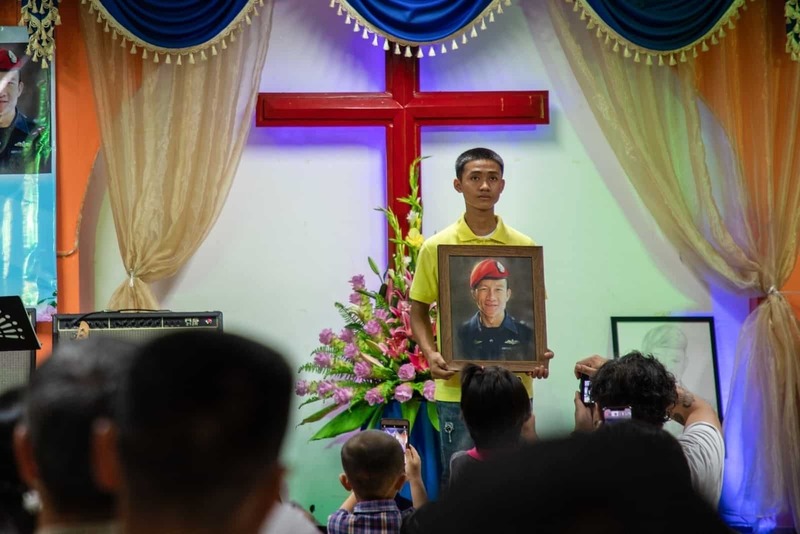 Local governors, officers and those who participated in rescue operations attended the service to thank God for the safe return of the Wild Boar soccer team. During the thanksgiving service, Adun shared a moving testimony with those gathered of what it was like to be in the cave. “By the 10th night, we were losing patience, hope, physical energy and courage. We could not do anything to help. The only thing that I could do was pray. “And then I finished my prayer, thanking God for everything that happened to myself and my friends … all 13 of us. Adun and all present also remembered and offered prayers for Saman Kunan, the Thai navy seal who died during the rescue operation. Adun holding a picture of former Navy Seal, Saman Kunan. Adun’s parents were special guests of the event, and they were dressed in traditional ethnic Lua garb. 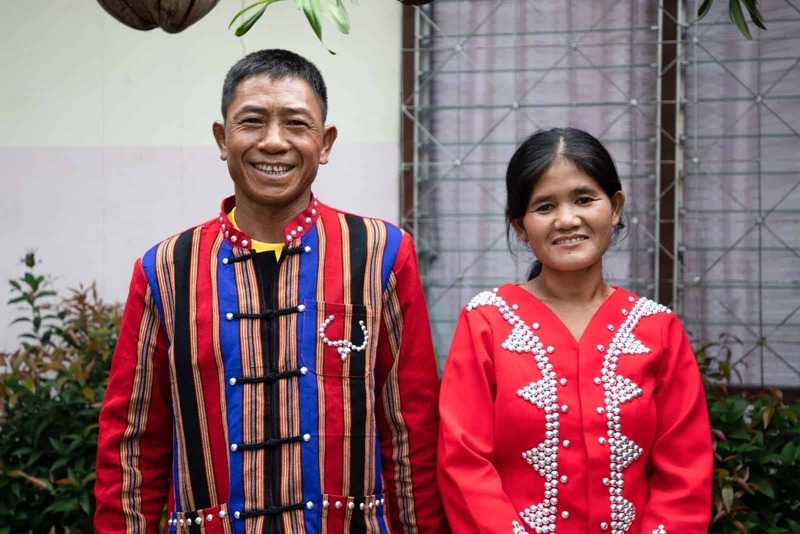 Adun’s parents in traditional Lua clothing. Other youths from the church had the honor of leading all those who gathered in worship. It was a time of joy, fellowship and thanksgiving to God. 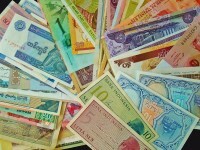 What’s next for Adun? His church family and Compassion center will continue to minister to him and are working toward helping him gain citizenship. 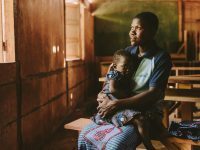 Here are ways you can be praying for Adun, the church and all of the boys. Pray Adun and all of his teammates will continue to heal, learn and grow in this season of life. Pray the citizenship process for Adun will be completed successfully and quickly. Pray for this church as they continue to minister to the needs in their community. Field reporting and photos by Piyamary Shinoda, Photojournalist for Compassion Thailand. 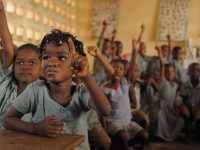 *The opinions expressed in external links do not reflect those of Compassion International. Full names of individuals and the church are not used to protect their privacy. 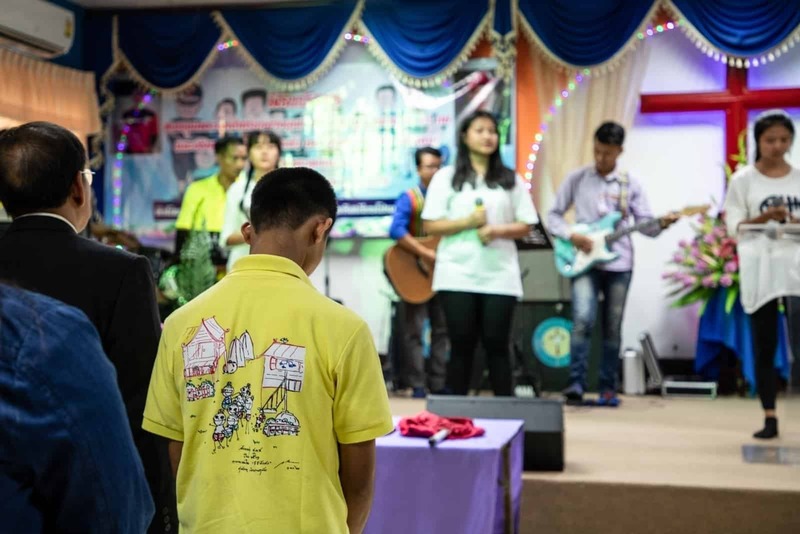 My wife, Dee, and I were missionaries from the Baptist churches to the Karen and other minority groups in northern Thailqand, We also prayed for the boys in the cave. I have been in that cave, bot did not go far in, but was aware of its location. Thank Gode for their rescue. This story moved me to tears! Catty on young man! You were such an important component to the rescue!! I don’t you but I love you! Grate testimony,powerful God ,His protection and care ,thanks everyone who lay down their lifes and be part of this unic miraculous operation. I pray that keep helping him to grow and love God more and more and he will be used by God to be salvation for many. God will bless churches to continue His work there to bridge people for the everlasting salvation. I pray that Adun will continue to be a great testimony to the world of the Lord’s grace and power.